Once you've made your share of the cookies during the holiday and tried your own version of the Danish "còsagach" (Gaelic word for being snug and cozy), and you still think something is missing, well, we have a magnificent idea: enjoy the water either from the top of the Alps or from the Mediterranean, whether it is a spa with sauna and massage or just a swim in the pool when it's snowing outside. Living it made a collection of the best baths around Europe. 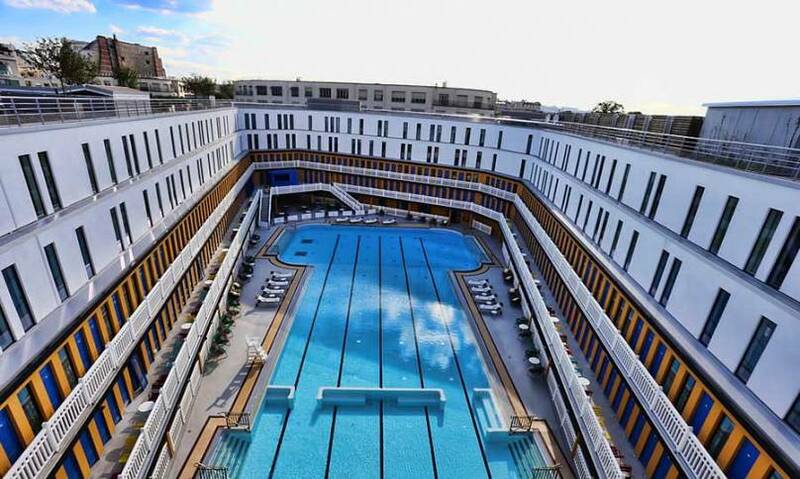 This could be the buzzword for the iconic, almost 90-year-old Piscine Molitor in Paris, with its design resembling an ocean liner, having an avant-garde ambience and carrying an underground history. Street artists from the world over have left their mark there, and Molitor started the project in 2016 to become the biggest street art gallery, that is why for example the blue cabins of the Winter Pool are not made to change oneself anymore. 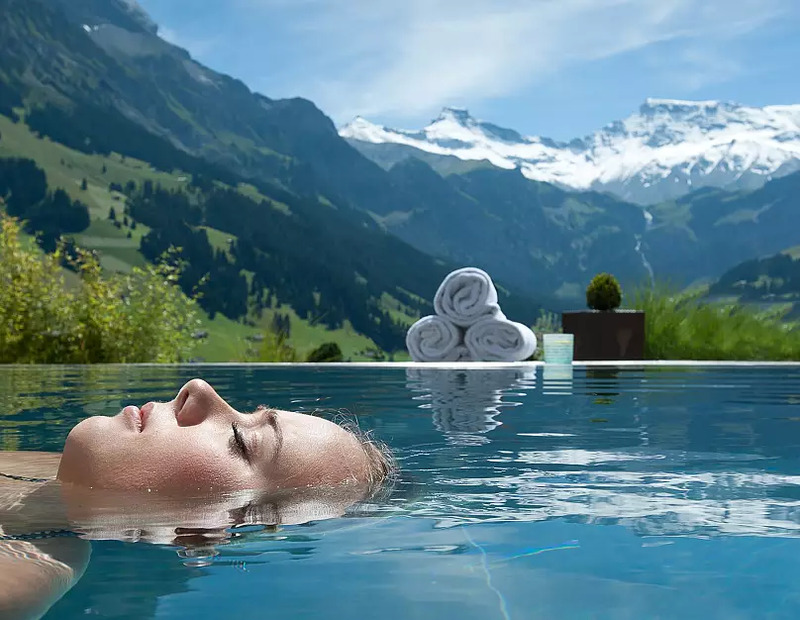 On the other hand, the pools are working perfectly, besides the outdoor pool heated to 28°C, and the 1930s indoor pool and a fitness centre, there's a special spa by Clarins, hammams, saunas, reading room, tea room. If you made the most of this temple of well-being and relaxation, there's still a brasserie, a bar, and a roof terrace coming to the hotel in this listed historic building. Imagine 18 different pools in a Neo-baroque palace (built in 1913), filled with medicinal natural hot spring waters, and this, in the biggest green park of Budapest. 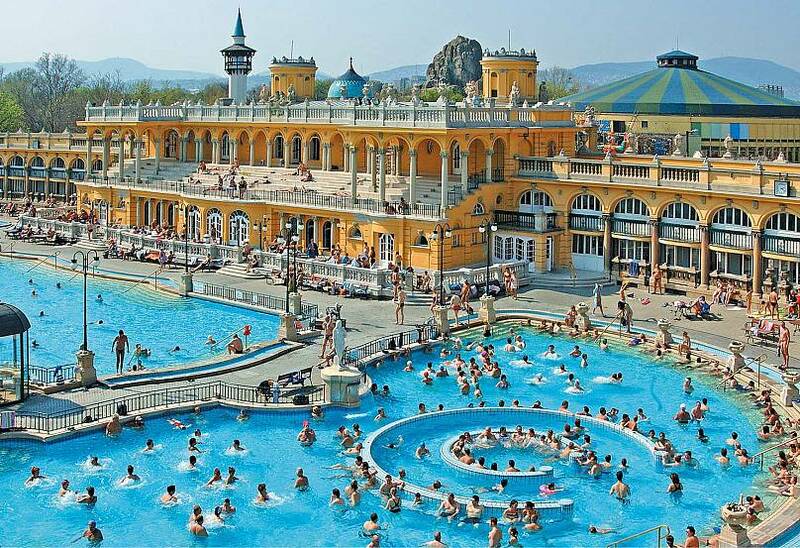 That is the Szechenyi Thermal Bath and Swimming Pool where the 10 saunas and steam cabins, several massage therapies, aquafitness, and other spa services seem to be just the toppings on the cake. This place is famous for its spa parties, or just simply sparties with live DJ and cocktails. 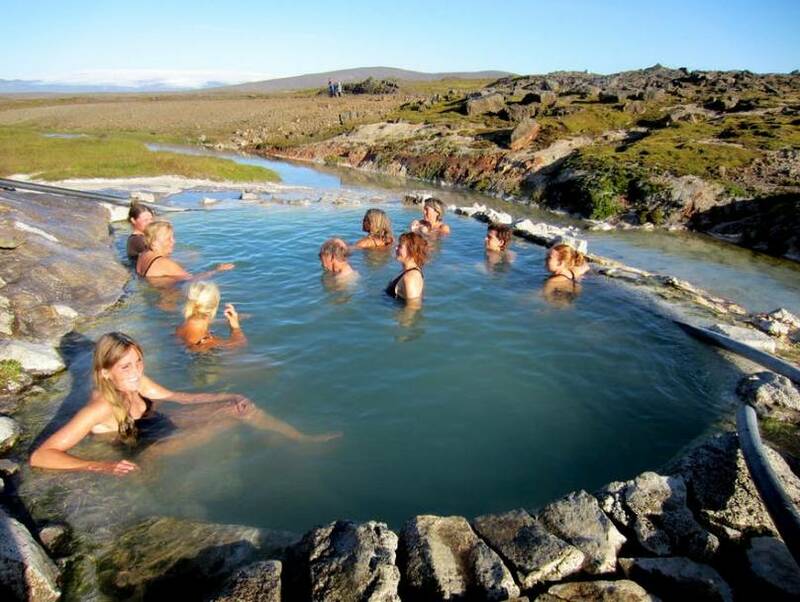 In the central highlands of Iceland, the beautiful geothermal area, called Hveravellir or the Hot Spring Fields host a lovely hot pool in between two of Iceland's glaciers. This hot pool at Hveravellir is, in fact, the result of a small dam built in the stream of a local geothermal river, the temperature of the water varies from 18,6-39,3 degrees C. Once you stop by after hiking in this area, nature seems to be the only company and the roaring springs make the only noise. 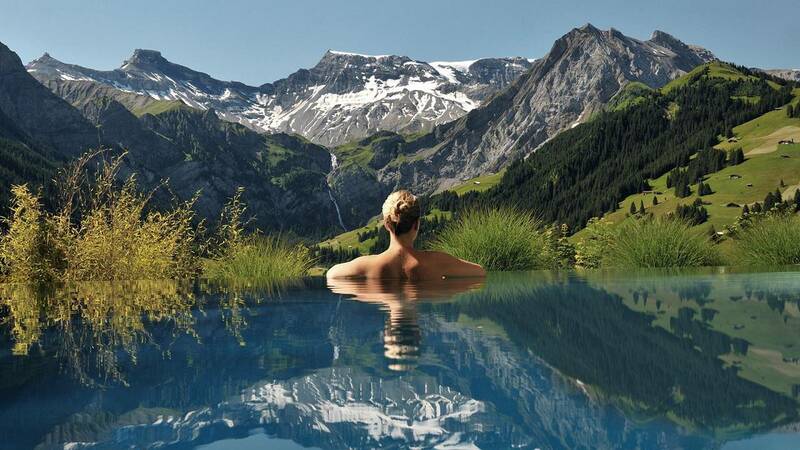 If you're looking for some relaxation with crisp air and Alpine views, this pool (and hotel) is certainly worth visiting. The Cambrian offers indoor and outdoor swimming pools as well as a Finnish sauna, spa with holistic treatments – including a blackberry wrap, an Alpine honey body scrub and a mountain herb massage. It is time to chill! If you are looking for something more intimate than a big pool and having a beer seems to be a good idea, the spa, named Bjórböðin, in Iceland, is probably for you. This unique spa has just opened this summer to offer beer bath, as the spa claims this treatment is great for skin and overall health. 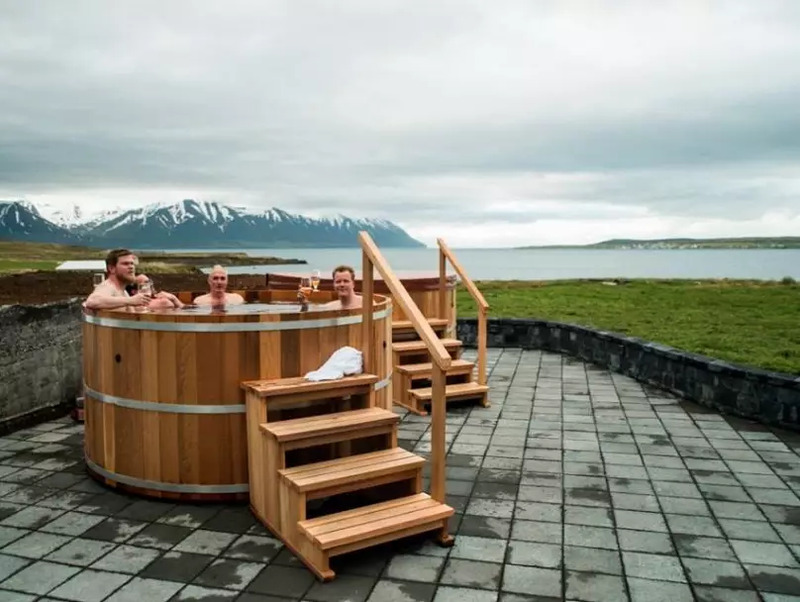 There are seven indoor beer tubs for two and two outdoor ones for more guests, with a great view over Hrísey island, mountains and Þorvalds valley. Part of the service is the attentively placed fresh pint of beer right next to the tub for you, as the beer bath is not for drinking.